For all new students wanting to register for the course, register online now. 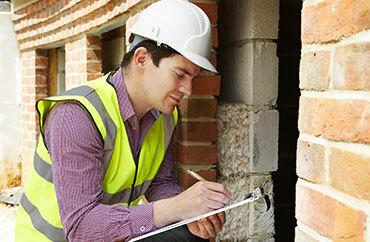 Property condition assessment, also known internationally as “home inspection”, or “property survey”, is one of the most exciting business opportunities in South Africa. SAHITA offers a certified professional qualification for South African Property Assessment Practitioners. Property Assessment Practitioners include members of South Africa’s fast-growing independent home inspection industry; estate agents who want to provide a value-added service to their clients; municipal and statutory building inspectors; and insurance assessors. The South African home inspection industry is especially suitable for small business and entrepreneurs because the prospects for growth are excellent, start-up costs are low and because a high level of personalised service will enhance the prospect of success. SAHITA is the first Property Assessment Practitioner academy in South Africa to educate and equip students and building inspectors with an all-round knowledge of South Africa building & inspection. The SAHITA course material has been specifically structured to conform to South African building methods and regulations. Who should do the SAHITA course? With the South African government’s emphasis on consumer laws and the public more and more aware of their consumer rights, the SA home inspection industry is forecast to grow rapidly over the next 10 years.It is expected that South Africa will follow the United States trend where nearly 8 out of 10 homes sold are inspected before they are sold. On Acceptance SAHITA will email you an invoice. The SAHITA course is endorsed by NABISA (National Association of Building Inspectors of SA) and By HouseCheck, South Africa's leading home inspection company.